A very uneventful flight from Guangzhou to Dubai. But, you'd swear none of these people had ever flown before based on their multiple or oversized items of hand luggage! What a hassle. It really does annoy me, every time. Watched Up while waiting for them to get the evening meal done. I'd heard how good it was from quite a few people but, I just found it on par with all the similar animations. I think I just don't "get" animated movies. When I arrived in Dubai (3:40am Dubai Time = SA Time + 2hrs), I did try to get onto the (6hr) earlier flight to Joburg, but they were already boarding so they wouldn't let me :( But, that is why I didn't risk booking that flight in the first place. 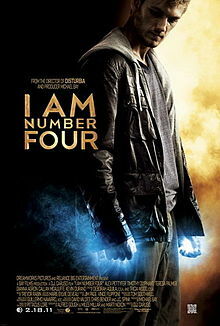 Watched I Am Number Four. Was not particularly impressed at all (perhaps because I watched it in bits & pieces in between sleep, while eating and when I had to sit up and fasten my seat belt thru turbulence). It seemed a pretty average sci-fi attempt, honestly. And has the predictable ending allowing for sequels (which I will not bother with, except perhaps if there's nothing else to watch on another long-haul flight ;) ). And then I landed home, eventually, after a very long journey. To find that instead of being met at Sandton Gautrain station by The Trucker, he'd caught the Gautrain to the airport to meet me at the gate (awe, sweet!). But wait, it gets even better ... he'd also bought me a bag of groceries (since he knew my fridge was empty after more than 3 weeks away!) :) *spoilt*. Awww... three cheers for the Trucker!